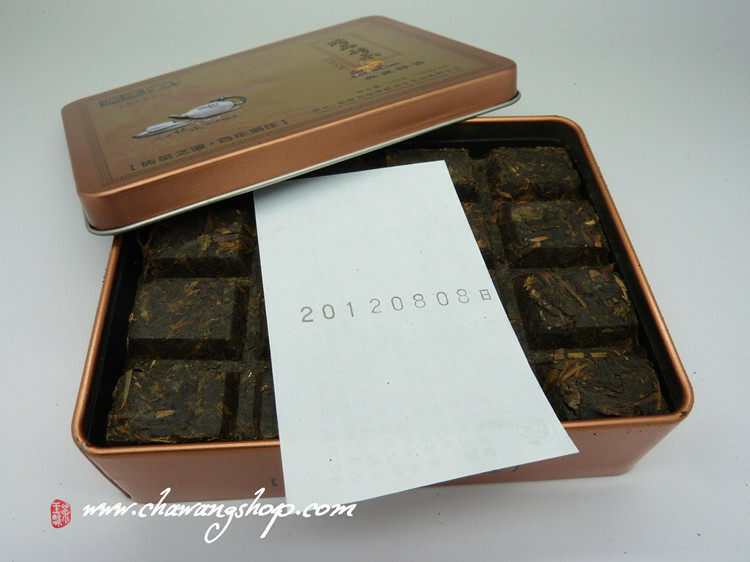 High quality dark tea from Hubei province. 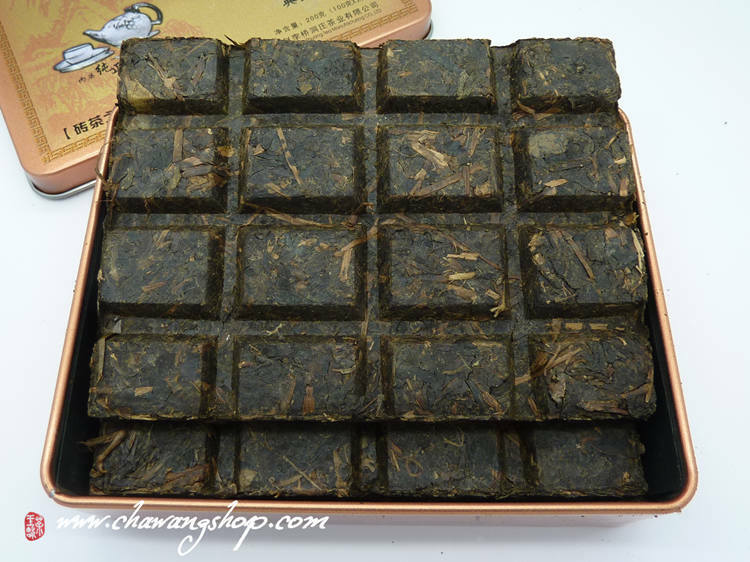 Used high quality raw material - First Grade Hei Mao Cha (黑毛茶) and made by traditional technique (selection, fermentation, high temperature steaming, compression, drying). This tea is easy to prepare and brewed in gaiwan. Smell of dry leaves is very intensive and great. A complex aroma displaying mild tobacco and raisin. Brew tea have deep orange colour and also intensive fragrance. Sweet and smooth, never bitter, leaving a pleasant smooth woody and sweet aftertaste. This is the highest quality "qing zhuan" from Hubei.